Data Forensics / Want to Convert PST to Mac Mail? Here You Go With the Best Solution! If you an Outlook user who has bought a brand new Mac system and want to switch from Outlook to the inbuilt Apple Mail application. Then, this blog will help you out to seamlessly deal with this situation i.e., to convert PST to Mac Mail. So, let’s jump into the different scenarios, which are faced by multiple users with the appropriate solution for the same. It is a matter of fact that MS Outlook and Apple Mail, both email applications holds a significant place in the business world to efficiently manage the emails. When it comes to exporting the PST file to Apple Mail, a user need to face multiple challenges. This is because both these email programs stores the data in different file format. To be more precise, Outlook stores the data of the entire mailbox items in PST format. Whereas, Mac Mail saves the data in MBOX format. 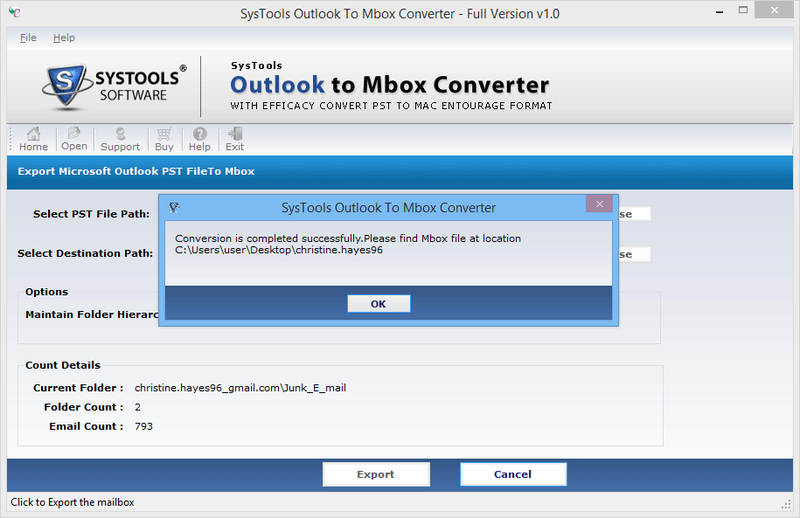 Before moving to the solution, let us know the reasons to export Outlook emails to MBOX. Reasons to Convert PST to Mac Mail- Dig In Here! When Outlook users switch the organization where Apple Mail is used. Then, to access the Outlook emails in Mac Mail, users have to convert PST to Mac Mail MBOX format. As Outlook application is prone to different corruptions hence users tend to migrate to other reliable email application like Mac Mail from the default Microsoft Outlook. For Mac OS X, Apple Mail is the default application with amazing features, which is another reason to import Outlook PST to Mac Mail. Most of the users want to know the direct method to convert PST to Mac Mail. One of the major reason is that the manual method is pretty complicated, which comprises numerous steps. In case if the user fails to implement any of the steps, then he/she has to undergo a tough time, which at times can also lead to data loss issue. Therefore, to eliminate such hurdles, it is best suggested to avail some smart third-party tool. Transfer Outlook PST to Mac Mail Using Top-Notch Converter Tool! 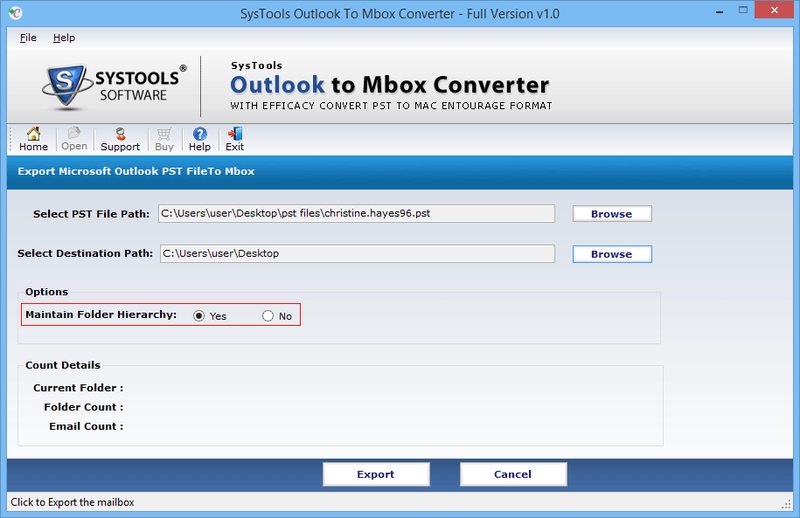 With the help of Outlook to MBOX Converter software, now Outlook users can finally get rid of all the complexities, which are been faced in the manual method to export PST to Mac Mail. This is because the tool renders a set of advanced features that will definitely blow the mind of every user. 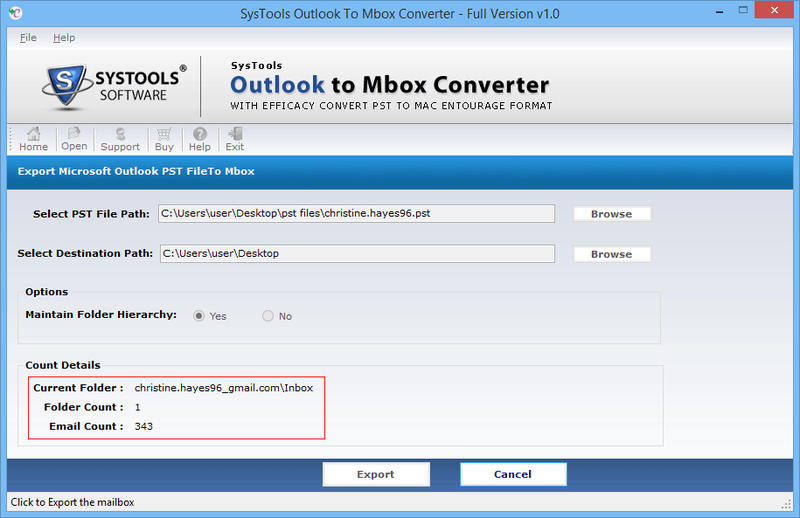 Moreover, the converted MBOX file can be easily imported to all the MBOX compatible email programs like Thunderbird, Opera Mail, etc including Apple Mail. One can smoothly export Outlook emails to MBOX format in a hassle-free way on Windows 10 OS and all the below versions. Altogether, the tool offers a bunch of mesmerizing features that allows even a novice user to easily operate the tool without any data loss issue. How Does the Tool Work to Export Outlook PST to Mac Mail? Why Choose Converter Tool Over the Manual Method? At times, there comes a need among Outlook users to convert PST to Mac Mail. In order to eradicate such mind-scratching hurdles, this blog describes the conversion process in an effective way. Considering the consequences associated with the native method, it is best suggested to opt the automated tool as furnished above to transfer Outlook PST to Mac Mail. By availing the converter tool, one can undergo the migration process effortlessly.